Unfortunately, this event is no longer taking RSVPs. Registration for this event closed at 4:30PM on Monday, August 14, 2017. 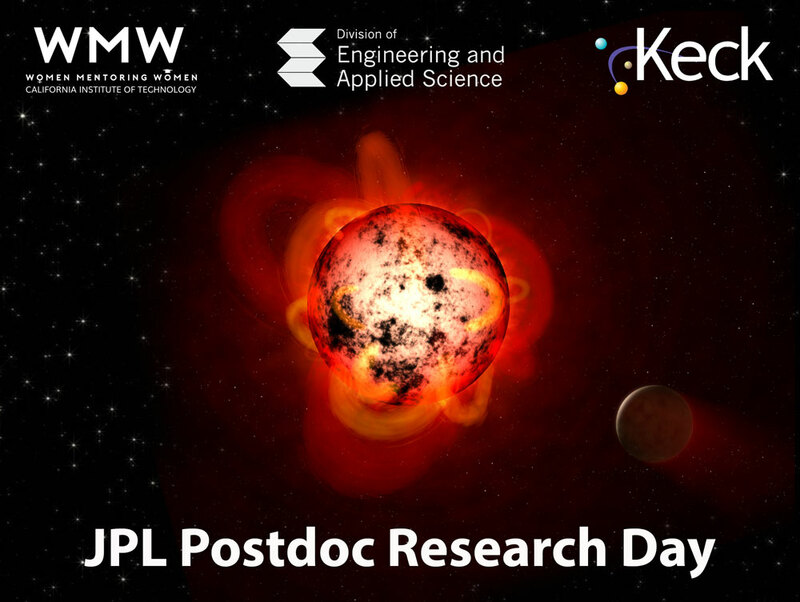 The JPL Office of the Chief Scientist and Chief Technologist cordially invite you to attend the 2017 JPL Postdoc Research Day on August 16, 2017. Transportation/Parking: The JPL/Campus shuttle is available to provide transportation to and from JPL on a specific schedule (this schedule will be sent to registered attendees). In addition, we will provide JPL Parking Permits to the first 20 people indicating in the RSVP that they are attending via car. Please RSVP by Noon on August 9, so that we can plan our refreshments and transportation accordingly.